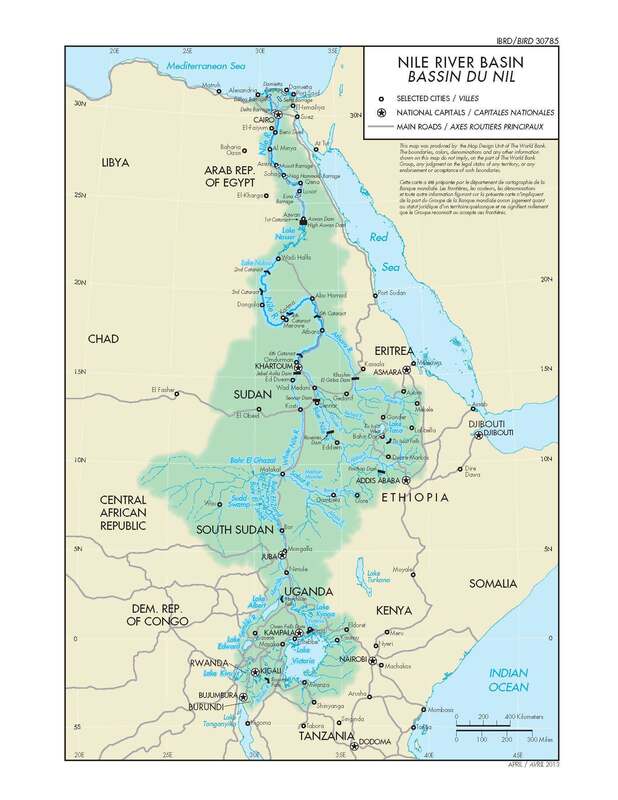 The Nile River Basin covers territory of 12 countries: Egypt, Sudan, South-Sudan, Eritrea, Ethiopia, Central African Republic, Kenya, Uganda, Rwanda, Burundi, Congo and Tanzania, or a land area of 3,200,000 km². In 2016, the basin was home to more than 257 million people, or 20% of the African population. With its 6,695 km, the Nile is the longest river on earth, with the Amazon (6,400 km) and Yangtze (6,300 km) coming second and third. The total basin area discharges 3,200,000m³ a year, which makes it comparable to the Mississippi, Congo and La Plata rivers. Bahr el Jebel sub-basin; here the river is joined by water from an area covering Mount Elgon; this water creates the Bahr el Jebel or Mountain River; a section that flows through the Sudd marshes is call Bahr el Zaraf or Giraffe River. Bahr el Ghazal sub-basin discharges water from the western part of South-Sudan and Sudan into the Bahr el Jebel. Baro Akobo sub-basin. Water from the highlands of Ethiopia and the plains of South-Sudan (Akobo/Pibor/Sobat River) joins the Bahr el-Jebel. This creates the White Nile. White Nile sub-basin, from Malakal in South Sudan to Khartoum in Sudan. Blue Nile sub-basin, the largest contributor of water to the Nile River. The Blue Nile flows from the Ethiopian highlands to Khartoum, after passing various large dams. Tekeze-Atbara sub-basin, the most seasonal part of the Nile River, with three storage dams: TK5 in Ethiopia, and the Khashim and Girba dams in Sudan. This sub-basin discharges water into the Nile north of Khartoum. Finally, the Main Nile sub-basin. At Khartoum, the White Nile and Blue Nile join into the mighty Nile River, flowing north towards the Mediterranean Sea. (*) Internal renewable water supply: this is not only from the Nile, but can include other renewable freshwater resources. Source: FAO - Aquastat - 11/2017. Note that the DR Congo has a huge internal renewable water supply, but this is mainly within the Congo River Basin. Its contribution to the Nile River is rather limited. 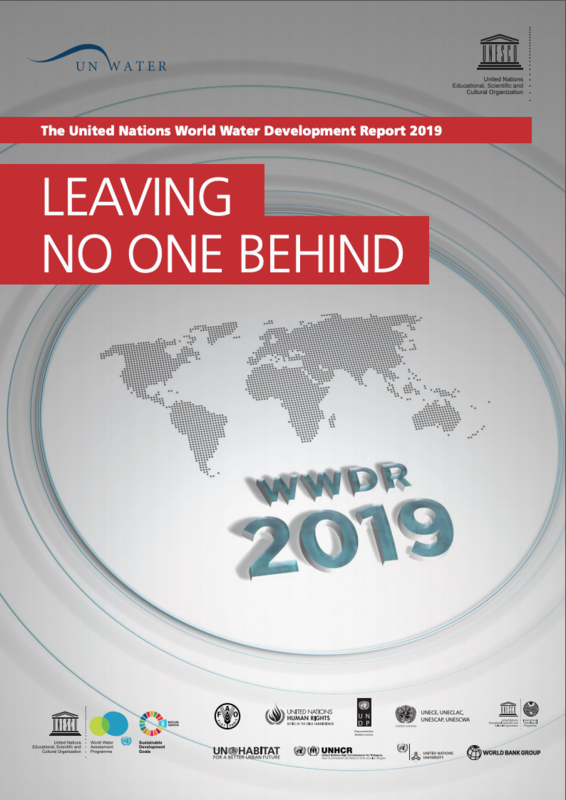 Other countries, like Rwanda and Burundi rely heavily on the Nile for their water supply, and Uganda, South Sudan Sudan and Egypt are almost exclusively dependent on water from the Nile Basin. Nile Basin Initiative, Nile Basin Resources Atlas. Entebbe, NBI, 2016.